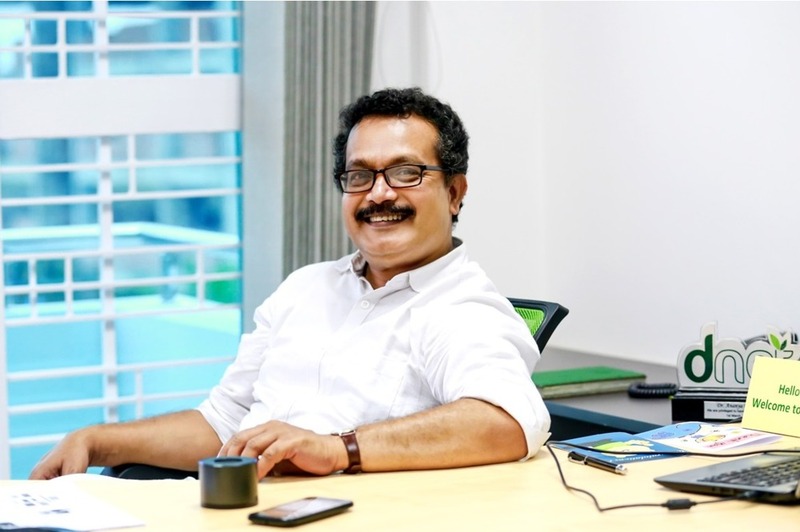 In this second part of Future Startup's interview, Social entrepreneur, Economist, and co-founder of Dnet, Dr. Ananya Raihan, talks about hiring and importance of finding right people, organizational culture at Dnet, how Dnet cultivates and maintains a culture of experimentation and innovation, challenges he faced during early days of Dnet and challenges he anticipates in the coming years, his take on CEO job and building a lasting institution and his plans for Dnet in the coming years. Future Startup: Hiring is one of the most important CEO jobs. What do you specifically look for when you recruit someone? For recruitment, we put out hiring announcement and also ask for references. Our experience is mixed for the both cases. It is extremely hard to find right people. We have put together a rigorous process in order to make sure that we get into only the right person. Our interview process is particularly designed in a way that it helps us understand candidates better. People tend to present an artificial self of themselves in interviews. It is very important to understand someone’s attitude. My experience tells me that attitude is way more important than many other qualities. We have decided to not ask for any particular academic qualification to apply for a position at Dnet because it doesn’t matter anymore. We have seen many candidates with piles of academic degrees with no real qualities whatsoever; and many other who don’t have any fancy certificates but are talented at what they do, they are either self-learned or received certifications for new skills. For instance, Amiyo Alam, our designer, has only finished college education but his competence in computer animation is incredible. People tend to present an artificial self of themselves in interviews. It is very important to understand someone’s attitude. My experience tells me that attitude is way more important than many other qualities.We have decided to not ask for any particular academic qualification to apply for a position at Dnet because it doesn’t matter anymore. We have seen many candidates with piles of academic degrees with no real qualities whatsoever; and many other who don’t have any fancy certificates but are talented at what they do, they are either self-learned or received certifications for new skills. Tell us about the organizational culture at Dnet. How people and things work at Dnet? To be honest, we are still struggling with building a culture, to some extent. We promote four core values at Dnet: mutual respect which is quite hard to achieve in our hierarchical society, so to say. Dnet is a horizontal organization and we want to involve everyone in the decision-making process. In the Executive Committee, out of five members, two are directly elected from staff members through direct voting, with a gender balance. A monthly mindshare meeting allows everyone to ask any question to the CEO. This core value includes listening to what others have to say. We want to listen to everyone’s idea and let everyone speak. The biggest advantage of listening other’s point of view is that great ideas can come from anyone and you reduce the chance of making mistake alone. Moreover, when people feel that their contributions are being valued, they feel encouraged. We want to make sure that no one in the team feels ignored. Backstabbing is a quite a big corporate problem and very dangerous one. We have managed to get rid of the culture of backstabbing to a certain degree at Dnet, but we are not free of it yet because sometimes people really like to gossip! It is essential to root out this culture because it often leads to destructive office politics. We encourage skill-based engagement. If we recruit someone in one particular department, say portfolio designing, and later discover that he is better at something else, we usually give an opportunity to choose a different track. It is very helpful in terms of productivity and improved performance. Our business intelligence team, for instance, is formed in this way. The person who is currently leading the big data team initially joined in the monitoring and evaluation department. And now his contributions are wonderful. I want to make a quick point here. We are doing quite a lot of experiments in big data with our own database and in partnership with a few foreign academic institutions. And, we hope to provide business intelligence services to private organizations and the government very soon. The practice of integrity, accountability, and conscious spending are other core values at Dnet, we are trying to promote. We promote participation of women in decision-making positions. At Dnet, we offer six months maternity leave with full salary coverage. There is also paternity leave. We also provide study leave with six-month pay coverage. We also have a creche for children up to two years and are working to open a full-fledged daycare center now. All meals at Dnet is covered by the office and female colleagues, if they have to work late hours are offered home drop service. Against extra work, there is compensatory leave benefit. As a whole, we try our best to ensure a congenial work environment. To be honest, we are still struggling with building a culture, to some extent. We promote four core values at Dnet: mutual respect which is quite hard to achieve in our hierarchical society, so to say. Dnet is a horizontal organization and we want to involve everyone in the decision-making process. In the Executive Committee, out of five members, two are directly elected from staff members through direct voting, with a gender balance. A monthly mindshare meeting allows everyone to ask any question to the CEO. This core value includes listening to what others have to say. We want to listen to everyone’s idea and let everyone speak. You do a lot of experiments at Dnet which is rare for organizations like yours and have been able to build a culture of experimentation and innovation. What’s the secret behind? What can other social enterprises learn from what you’re doing? I think it is the approach we take for every activity. Our works, you see, are mostly data-driven. We analyze the ongoing trend in a particular industry/sector and we pick signals to launch a new service or product. For example, we have identified that mental wellbeing is a very important emerging issue and now conducting structured experiments which will result in identifying our next product or service. Application of AI in services designed for poor is also an area we are engaged in. I would say, R&D is in the DNA of Dnet and that’s probably the secret. Trends, for example, used to have a cycle of 5-8 years before, but now they change within 2 to 2.5 years. Changes happen way faster in today’s world. So, if we don’t do or explore something new, we would soon be obsolete–both individually and organizationally. You get to evolve in order to stay relevant. I would say that social entrepreneurship has become a hype in Bangladesh. People, who do want to run a social enterprise, need to be honest to their intention. Also, there are some regulatory issues here as since there’s still no dedicated policy towards promotion of social entrepreneurship. If you ask me about one specific suggestion to new social entrepreneurs, it will be: do not assume you know what your target audience wants. Engage them and learn from them if you are serious in making a meaningful change. What were the major challenges you faced in your early days? Finding the right person for the right job was a huge challenge. It is still a problem to find right people with the right skill and attitude. Commitment, so to say, is a rare thing to find nowadays. Most of the young people want to be successful overnight or become rich quickly. I have no hesitation to confess that in our early days, we suffered a lot from wrong strategic decisions. However, determination and learning attitude helped us to be back on the right course. One significant difference, despite our active attempt to prevent, is that we used to make decisions very fast in the past because as an organization we’re lean and fast, but now we take days, even weeks, to do that. But, even then, people tell us that we are quick in decision-making. We were not process oriented and that was a source of inefficiency. I believe this is a common phenomenon. Despite significant improvement, we feel there is a lot to improve. It helps us to save resources. We have automated the HR department to keep track of our recruitment and employee performance. We also use ASANA for process-flow management. It has helped us to streamline internal communication and ensure transparency in the organization. It is also helping us in promoting the horizontal structure. Depending on donor money and conducting experiments and fail – was the greatest challenge. We started generating our own revenue stream to reduce this dependency. The absence of healthy competition is also a challenge we have faced. The stealing idea, even brand name, we have faced these problems. That’s why, when we have launched a new platform Junction, we have focused on protection of IPs. We are not good at promoting what we do. We have to learn a lot in this regard. However, word of mouth was our biggest supporter and we are grateful to all our silent promoters. Tell us more about transparency. How important do you think it is for an organization? I think maintaining transparency among colleagues and teammates is essential and has significant positive impacts. At Dnet, we maintain transparency with our financials: you can easily find our financial statements, expenditure accounts for projects, salary structure for our employees, etc. on our website. When our employees go abroad every one of them enjoys the same kind of facilities no matter what position they assume. That said, no performance management system is hundred-percent objective. It is subjective and depends on who is employing it. This is where discontent stems from sometimes. I think the practice of transparency makes your team motivated. Overall, our employees really feel that they own this organization. They feel at home and that they are a part of something bigger. Even people who leave Dnet often come to our public events and most of them become our ambassadors. As we are a social enterprise, it helps us to be more credible in the eyes of the people if we disclose how we are running the organization. Dnet was the first organization to appoint a designated officer for information disclosure under Right to information Act 2009. What kind of challenges do you anticipate for Dnet going forward? We have successfully overcome our financial constraints; the focus now is to build a strong team. Also, as Dnet has transformed a lot over the years, there is a need for a new identity and branding. We, in that respect, are not still that smart. As we are growing bigger many of processes which were appropriate when we were strong, may not work anymore. We have to replace them with a smarter process flow. To maintain steady growth, we will have to attract more investment and we are getting prepared for that. Finding the right person for the right job was a huge challenge. It is still a core issue to find right person with the right skill and attitude. Commitment, so to say, is a rare thing to find nowadays. Most of the young people want to be successful overnight or become rich quickly. I have no hesitation to confess that in our early days, we suffered a lot from wrong strategic decisions. However, determination and learning attitude helped us to be back on the right course. If you are given a chance to redo everything from the beginning, tell about few things, if any, that you would do differently. I regret treating some of my senior colleagues inappropriately in the past. If I had handled situations more delicately, they would have stayed with us and the journey would have become smoother. We do a lot of experiments which is a good thing and which we have instilled in our culture through continuous reinforcement and hard work. That said, we suffered through that as well. There were times, whenever we had a new idea we went into experimenting without considering whether we have enough resources or not only to discover that our portfolio has gone beyond our control and we could not keep track and focus properly. If we could manage to prioritize properly and focus, our growth could have been faster and resource efficient. How do you feel running a big organization? The biggest challenge is succession planning. It is almost the end of the line for my leadership. But I can’t pass the baton suddenly although I have the desire. I am interested in innovation. As for my USP, I am quite good at designing new things and quickly. I want to contribute in that regard. My current job as a CEO pulls me back. The bigger you grow the lesser innovative you become. So, I am trying to learn from other successful organizations how do they balance between growth and remaining innovative. We do a lot of experiments which is a good thing and which we have instilled in our culture through continuous reinforcement and hard work. That said, we suffered through that as well. There were times, whenever we had a new idea we went into experimenting without considering whether we have enough resources or not only to discover that our portfolio had gone beyond our control and we could not keep track and focus properly. If we could manage to prioritize properly and focus, our growth could have been faster and resource efficient. Dnet has some overseas operations but we want to be a truly global organization. Secondly, we want to get into core innovation like IOT, robotics, Big Data and so on. Our current works are more like secondary innovation. We are doing something exciting with big data of which I’m really excited about and we want to do more of it. I’m also thrilled about Junction, the platform we have just launched to support young innovators. 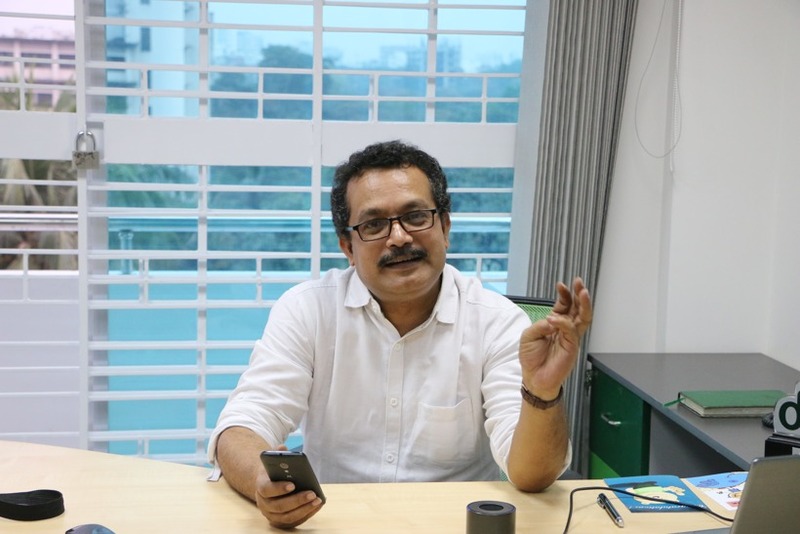 It is different from other similar platforms, which are supporting startups because we want to build something local that caters to the need of Bangladeshi startups and that understands the dynamics of building a business in Bangladesh. Copy-cat of silicon valley model will not work here. As an entrepreneur, when was the most difficult time you faced? My toughest time was the time when I faced personal attacks from behind. My wife and my colleagues helped me a lot in those difficult times. A couple of key lessons from your journey so far. The first lesson: be honest. It has its costs, but at the end of the day, honesty prevails. The second lesson for entrepreneurs is that they should listen to others. It is a must for personal and organizational development and also helps in fostering an environment of mutual respect. You need to learn every day from everyone. Thirdly, interpersonal relationships in the office should be emphasized. If a superior pays attention to what his subordinates need, the subordinate will do the same and this is how an organization prospers. Finally, one should never hide failures. Being aware of the financial management of the company is also very important. We, at Dnet, are still surviving because we have been meticulous with our financials. It is also very important to remain positive and acknowledge others’ successes, especially in a society like ours where we focus first on our weakness and try to demoralize. Tell us what you do when you face a big challenge, say with scaling the company? I’m a voracious reader. If I work 10 hours a day, I read for 8. In fact, I’m currently reading, or perhaps memorizing, a book called How to become a CEO. And I’m sharing with my colleagues what I’m learning from the book so that they prepare themselves for the leadership position. Besides that, I’ve brought some quality reading material about investment and funding from my recent visit to Germany. I’m also trying to learn more about IoT. I’ve got peers at home and abroad for discussing the topics I’m interested in. We are currently working on a project called Moner Bondhu which is related to psychology. I’ve always found psychology very fascinating. And now I’m reading to know more about intervention. As my last resort in any hardship, I have a few well-wishers who give me support and solution. I also talk a lot with the young employees here. To my surprise, they often give me wonderful ideas. The first lesson: be honest. It has its costs, but at the end of the day honesty prevails. The second lesson for entrepreneurs is that they should listen to others. It is a must for personal and organizational development and also helps in fostering an environment of mutual respect. You need to learn every day from everyone. How important it is for early-stage entrepreneurs to have mentors? It’s a must, I would say. Because you must discuss what you are trying to do with someone. You can either have a formal mentor or an informal one, but you should have one. What do you think it takes to build a 100-year long organization? Observing organizations like Grameen Bank and BRAC, I understand one thing: to build a long-lasting something, effective and timely succession planning is very crucial. One other thing is to adjust to the changing circumstances. Why does Philips still prevail? It is because they’ve evolved and adjusted to the need of the time. Those who do not pay attention to the changes do not usually last long, such as– giants like Nokia and Yahoo! What advice would you offer to people who are just starting out? Before anything, someone needs to determine whether s/he is really an entrepreneur. If s/he is not, then training can fill up the need. I divide a workforce into 3 different categories: worker, entrepreneur, and intrapreneur. An entrepreneur can take risk independently, but an intrapreneur cannot. And workers are people who are very committed and talented at their specific jobs. A successful organization needs all these three types of people. So, when someone wants to open up a business, I’d suggest them to find 2 other partners with the quality of a worker and an intrapreneur. The team becomes very strong that way. Entrepreneurship is very important for a society like ours where a group of people is historically deprived of their basic rights. We should not forget about the provision of public good while we focus on social entrepreneurship. We become obsessed with sustainability and mean only financial sustainability. Actually, sustainability to me is to remain relevant to the changing needs of the society.